You can change your EasyRedir pricing plan at anytime and we'll prorate your charges to the second. You can upgrade or downgrade your EasyRedir plan at any time. 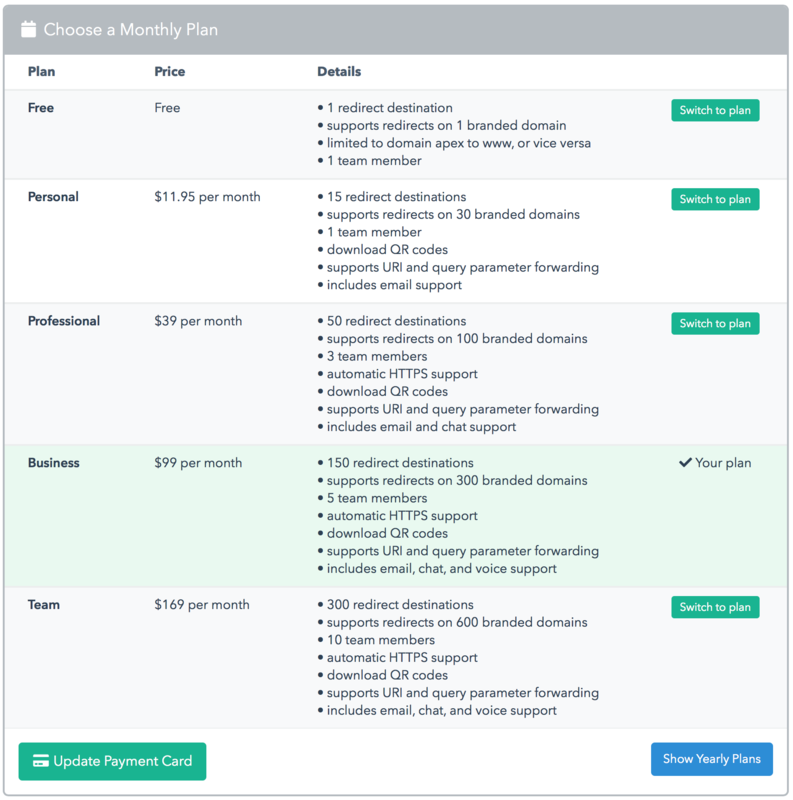 Just visit the Plans page in your account settings and select the plan you'd like to change to. If your current usage of EasyRedir exceeds what a particular plan supports, the option to switch to that plan will be disabled. When you switch plans, we'll prorate your charges to the second. If you're upgrading, we'll charge your credit card for the difference between your old plan and your new plan. If you're switching to a lower priced plan, we'll credit your account for any unused time on your old plan. If you have any questions about how we handle plan switches, just get in touch. We're happy to help.